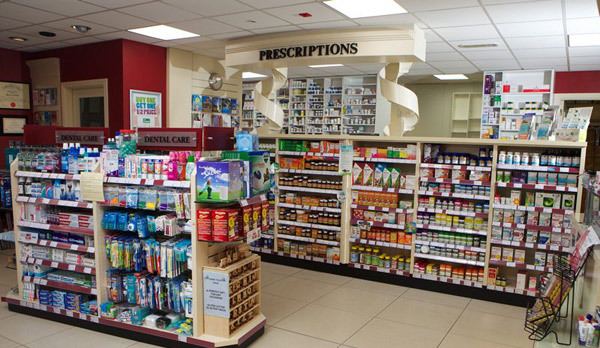 At Trants Pharmacy we stock a wide range of natural remedies from different suppliers. If you do not see the one you want in store please ask a member of staff who will be happy to try and source it for you. Salin Plus uses a new and unique method in an advanced process for treating air. The process works as follows: air is forced through the filter which contains a micro-crystallized deposit of salts. This process creates a fine, constant spray of salt particles in the surrounding area. This unique dispersal of salt into the atmosphere offers long lasting and gentle relief from respiratory symptoms, without the use of a mask or inhaler. The Salin Plus Air Purifier is simply turned on and left to work overnight. Whilst you sleep the salt diffused air is inhaled, reducing inflammation in the whole respiratory tract, absorbing any swelling from the linings in the airways, widening the airway passages, unclogging mucus and congestion in the bronchi and bronchioles. By dissolving and freeing the mucus, Salt Therapy can cause an increase in mucus expulsion. This action restores normal transport of the mucus and helps to eliminate foreign allergens such as pollen or dust particles. Regular and sustained use of the Salin Plus Air Purifier can also slow down the development and build up of recurring mucus. Alfred Vogel maintained that complete effectiveness was only contained in fresh plants. For this reason, A.Vogel herbal remedies are as fresh as Nature. The plants for A.Vogel’s fresh plant remedies are prepared as soon as possible after harvesting. This principle applies to organically grown plants as well as to those that have been gathered from the wild. Numerous analytical examinations and in-vitro tests (laboratory tests) have confirmed that more often than not, A.Vogel fresh plant preparations have a higher concentration of active ingredients than conventional products made from equivalent quantities of dried plants. The original Bach Flower Remedies is a safe and natural method of healing discovered by Dr. Bach in the 1920’s in England. They gently restore the balance between mind and body by casting out negative emotions such as fear, worry, hatred and indecision which interfere with the equilibrium of the being as a whole. The Bach Flower Remedies allow peace and happiness to return to the sufferer so that the body is free to heal itself. The 38 Bach Flower Remedies are made from wild flowers and are safe for the whole family, including pets. The remedies are preserved in grape based brandy and are gluten free. As Europe’s longest established homeopathic manufacturer, Nelsons has supplied quality homeopathic medicines, prepared to traditional Hahnemannian methods, since 1860. Today, the brands are appreciated and sold all around the world. They are made with the same care and attention as they have always been, in accordance with the international regulatory standards of the day. Through the ever-growing range of brands, millions of people will enjoy naturally healthier and happier lives. Weleda are a leading producer of holistic medicines and cosmetics. Their products are free of synthetic chemicals, fragrances, and preservatives, and use only the finest wild and natural ingredients. Their products are never tested on animals, and they are committed to a program of sustainable production. Of Weleda’s plant-based raw materials, 77% are cultivated in controlled organic and biodynamic environments, or are obtained from controlled wild sources.